Spiritual Leadership – A Splash of Love…. Working predominantly with people who were abused in Christian settings, I hear this line far too often. This series started with a focus on church leaders and the many ways congregants are bullied, abused and manipulated. I recognize, however that abuse can come from anyone, and fellow congregants can be as guilty as the leaders. It is often elusive, making it a more difficult topic to tackle. I suffered so little of it, that I hardly know what that feels like, and even those who might have done it, meant well and had no authority, so it didn’t cut too deep. In retrospect I realize that, unfortunately, I do know what it feels like to be the abuser, so that is the knowledge I will write about. You would think that, after being trapped in that little prayer room and living through the fear and anxiety that meeting caused, that I would have known better. Unfortunately I learned to be abusive as well…. something I take full ownership for. To say that I was abused and then use it as an excuse, is messed up. I am responsible for my choices, my behaviours. Tim, having grown up in the United Church of Canada, thought very differently and wasn’t convinced that I was right. However, seeing my passion, he agreed to go with me to each of their homes. I, being the submissive woman I was, sat there in my white bonnet and did all the talking. (Whatever happened to women keeping silence??) I tackled those men! Why, it was their responsibility to lead their families! I was intense! They needed to know that they were at risk of hell! I had to ask about their children, and their grandchildren! Where would this road of worldliness lead them? Did they really want to take that chance and risk sending generations to come to hell? It sounds altogether radical. And it was. But my heart was as sincere as the Apostle Paul, when he slaughtered the believers before his conversion. My friend Shawn, who later became an elder at the church we now attend, listened patiently as I ranted. He and his wife, Jen, also a good friend, answered thoughtfully and said they appreciated me sharing my heart, but they were following God and the path was not what I thought it should be. They didn’t pretend to have all the answers—something that was unheard of. We always had all the right answers and always knew what to say. Uncertainty in beliefs was not acceptable. Many friends, Andy and Colleen, Dale and Janet, and others sat and listened patiently as I took an emotional strip off of them in this way. One day I had a little conversation with God–I was sure I was right so I grabbed my Bible and set out to prove it. I prayed and asked God to silence every voice but His own, and show me Truth. I still had an agenda—I was confident that the Bible endorsed every one of my beliefs—but with that agenda, I had an open heart. I wanted unadulterated Truth. As I read Galations, Romans, Acts, Hosea and many other books of the Bible, the truth began to penetrate, and I felt my spirit come alive for Jesus Christ! Suddenly, it had nothing to do with my denominational beliefs, or protecting ‘the constitution’. As I read, my spirit soaked up God’s love, His grace, and His mercy. Day after day, I lived for that time with God. I couldn’t wait to grab my Bible and read. Like a desert soaks up the rain, I drank it in and, as I did, an oasis formed in my heart. Tears poured down my face constantly and I began to heal. I learned to walk in grace and let God be God, speaking Truth gently, without agenda, and letting the Holy Spirit do His work. I released control. 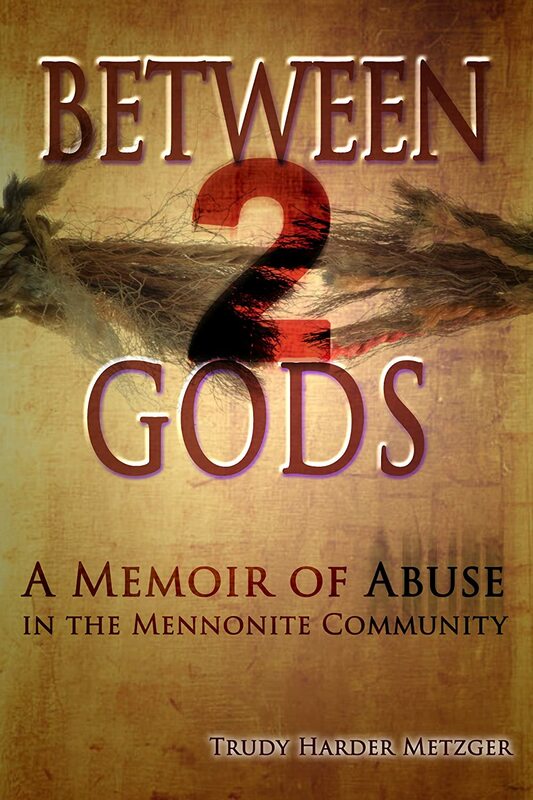 Spiritual Abuse, without fail, is about human beings taking control where God wants to have authority, and almost without fail, it is about human beings protecting themselves. Yes, Spiritual Abuse happens in the pews, but when we get a revelation of who God is and what Jesus really came to do, those behaviours are no longer necessary. We have no agenda left to protect, only a God to love and worship. Out of that worship flows life and grace for others.